Deliver the right experience for passengers and your business. 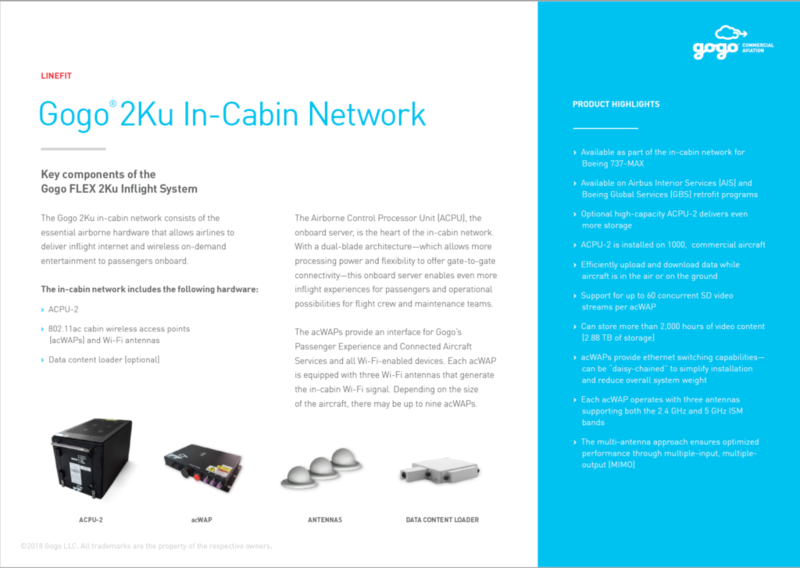 Gogo® 2Ku outperforms all other market-ready global connectivity solutions. 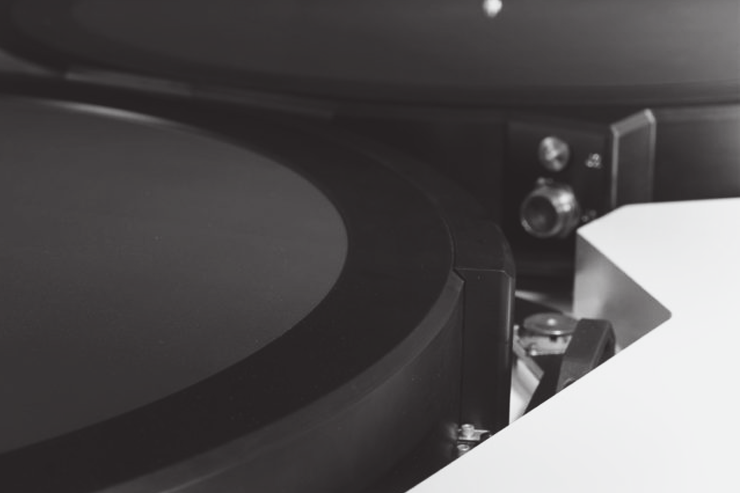 Coupled with our next-generation modem, the 2Ku antenna delivers industry-leading speeds and superior performance around the globe while significantly reducing costs. 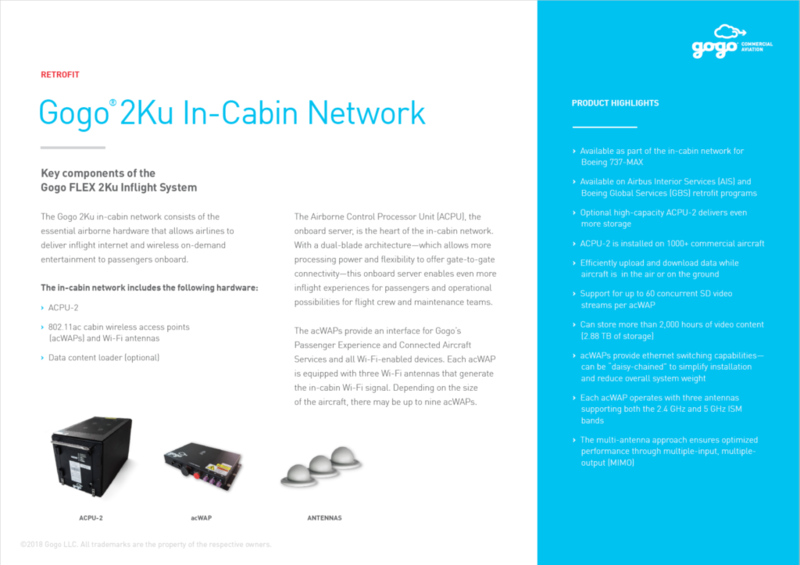 With an open architecture that leverages current and future Ku satellites, 2Ku offers unrivaled adaptability to keep your airline connected – now and in the future. 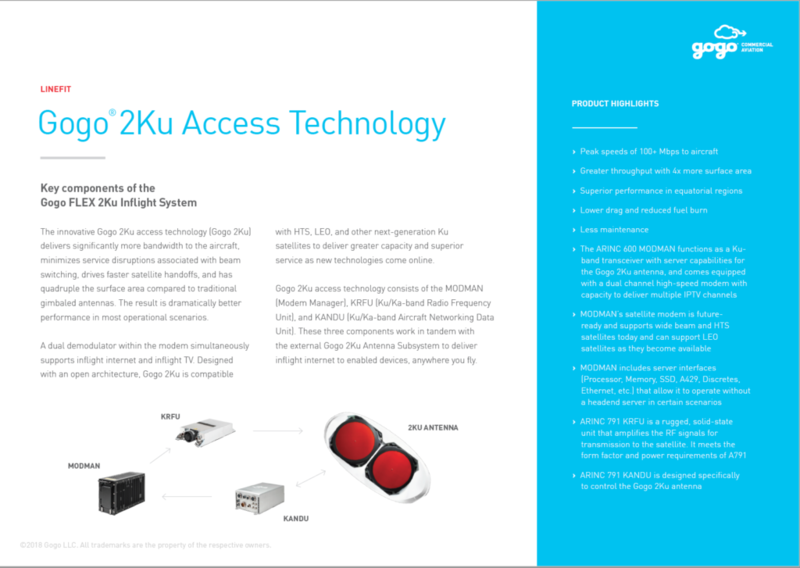 Learn about Gogo 2Ku capabilities and key advantages. See what makes the Gogo 2Ku antenna design so unique. Why are these numbers so important to know? Go inside the facility where Gogo 2Ku solutions get their start. 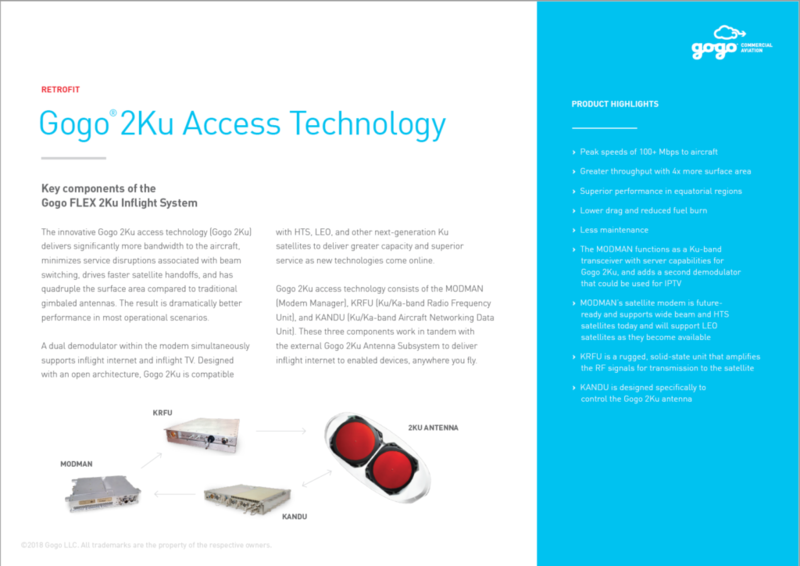 Gogo 2Ku has been installed on more than 600 passenger planes flying over 80 countries worldwide. Currently, the 2Ku backlog is 1,400 aircraft. Our partners include: AeroMexico, Air Canada, Air Canada Rouge, Air France, Alaska Airlines, American Airlines, British Airways, Cathay Pacific, Cathay Dragon, Delta, GOL, Iberia, JTA, KLM, LATAM, Virgin Atlantic, and Virgin Australia. 2Ku’s antenna aperture size is unparalleled in the IFC market. With 4x the surface area of conventional aero antennas, 2Ku delivers superior performance and double the spectral efficiency, delivering more bandwidth for less cost. 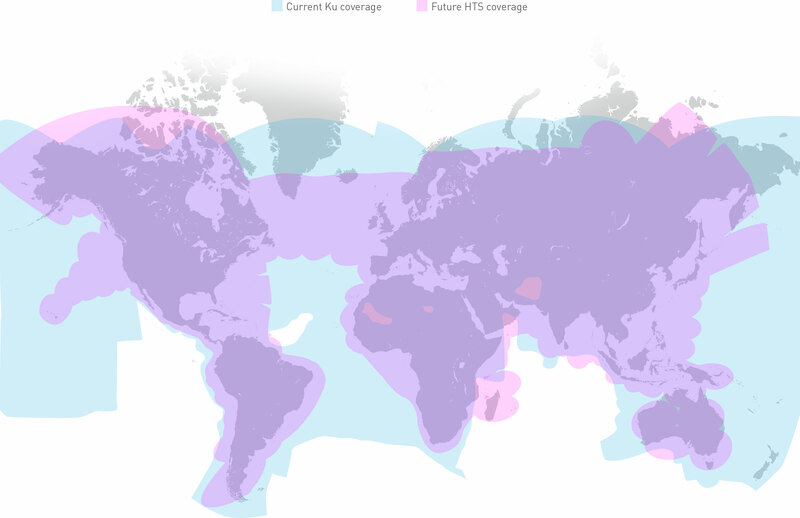 When next-generation satellites come online, 2Ku’s dual antenna – coupled with our next-generation modem – has the capacity to deliver peak speeds of 200+ Mbps to the aircraft. A close-up look at the installation of Gogo 2Ku. 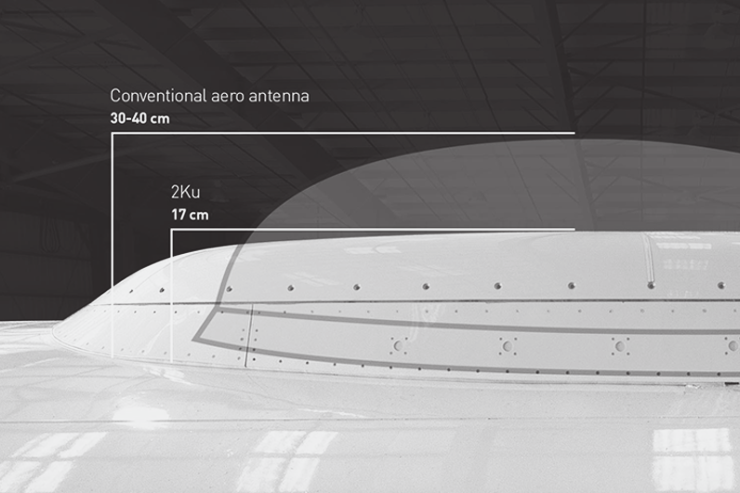 With its low profile radome, 2Ku offers 50% less equivalent weight penalty than conventional aero antennas, reducing drag and fuel burn, and generating significant savings for your airline. 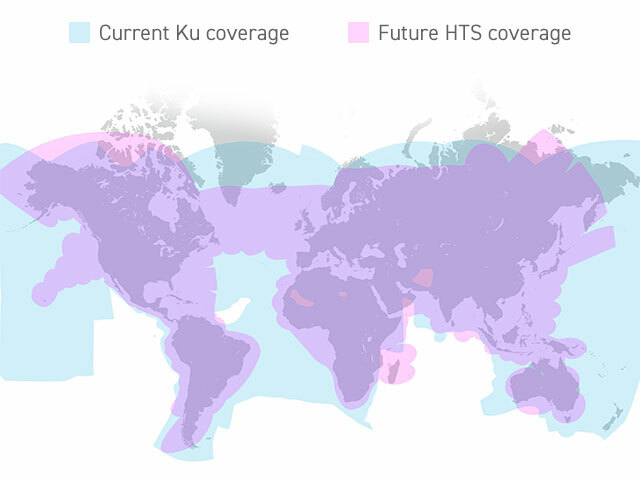 With an open architecture that leverages current and future Ku satellites, including HTS and LEO satellites, Gogo 2Ku offers redundant and reliable coverage around the globe. Quick technical overview of products and specifications.